Ann Langston has extensive experience of work in early years, schools, local authorities, business and in Further and Higher education. Ann is an early years specialist and trainer who has written widely on effective practice in the early years. She is passionate about improving outcomes for young children through working with adults whose decisions impact their lives. Ann has a wealth of knowledge and expertise about early years issues and the early years sector. Ann’s publications include: Facilitating Learning in the EYFS, The Revised EYFS in Practice , Playing to Learn, Parents Matter, Birth to Three Matters and Managing Staff in Early Years Settings. 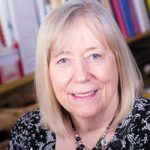 Ann has also written for early years publications such as Nursery World, Early Years Educator and has contributed to journals and chapters in a number of books.